Secret of Power Racquetball: Mastering the Basics Learn to play and excel at racquetball with detailed lessons from a true legend in the sport. In this comprehensive video, Marty Hogan demonstrates all the fundamentals and principles of playing power racquetball and provides an endless array of tips that will help improve your game. Among the topics covered are: rules and regulations, choosing equipment, warming up, forehand, backhand, the serve, return of serve, back wall shots, offensive shots, defensive shots and game strategy. This video is a great resource for new players and has more than enough detail to be beneficial for experienced players or coaches. 40 minutes. Secret of Power Racquetball: Tips for Advanced Players Seven-time United States National Racquetball Champion Marty Hogan details what it takes to play the game at the highest level. 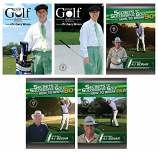 He draws upon his experience and expertise to provide an incredible collection of easy-to-use, yet powerfully effective tips. Among the topics covered are: rules and regulations, conditioning, center court control, forehand, backhand, the serve, return of serve, offensive shots, back wall play, tournament play and practice tips. This video will teach you how to perform at your full potential and excel in competition. 56 minutes. Secret of Power Racquetball: The Outdoor Game Outdoor racquetball is exploding in popularity! It is a fun and exciting sport with several unique differences from the indoor game. In this comprehensive video, the legendary Marty Hogan demonstrates and explains what it takes to excel at the outdoor game. Among the topics covered are: outdoor courts, preparing to play, the serve, return of serve, defensive shots, forehand, backhand, strategy, doubles, and playing tips and tricks. The Special Features section includes footage from the "Battle of the Beach" Racquetball Tournament, courtesy of Royster Productions. 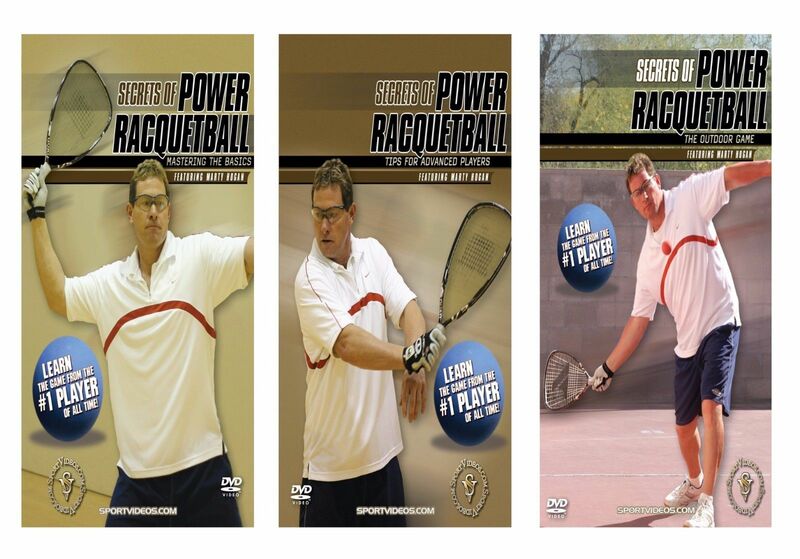 This DVD will help you learn the correct principles of playing outdoor racquetball and dramatically improve your game. 48 minutes.